How do we design urban systems that support life in every form? 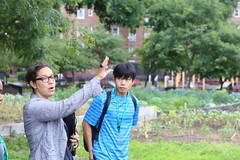 Sustainable Summer’s Environmental Leadership Academy at the Pratt Institute in Brooklyn, New York enables the next generation of environmental leaders to engage in sustainability inquiry and action. 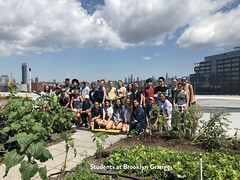 This two-week, intensive Brooklyn summer program provides students with an overview of urban sustainability in New York City with a focus on the vibrant borough of Brooklyn. 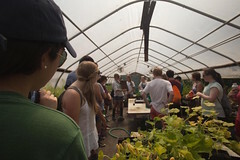 Students will assess various urban systems, such as stormwater management, green infrastructure, solid waste management, and urban agriculture. Through hands-on, experiential learning, the program will expose students to the complex economic, ecological, and social systems that urban planners, policy-makers and other experts and decision-makers must consider when planning for a 21st Century, sustainable NYC. Our Brooklyn summer program first examines some of the sustainability problems and opportunities, both large and small, that face New York. 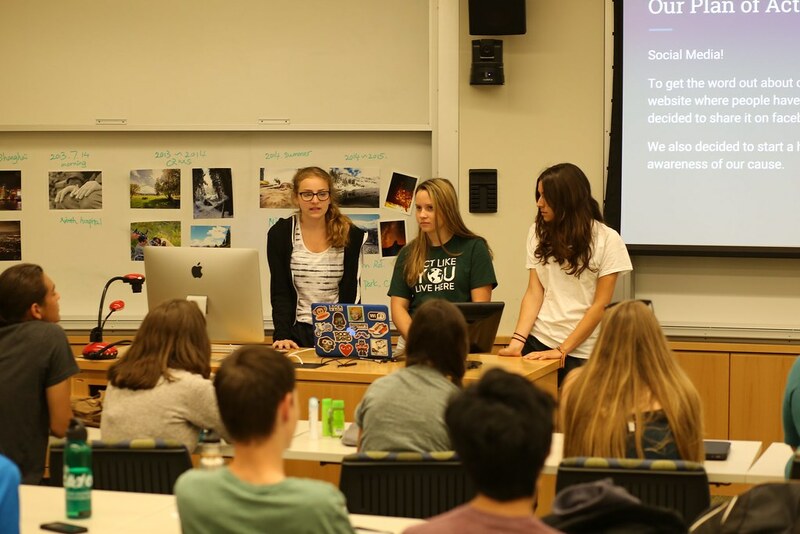 It then shifts focus to the methodological tools students need to propose a viable solution to one particular problem through a “design challenge.” The subject of the design challenge is stormwater management in Brooklyn. 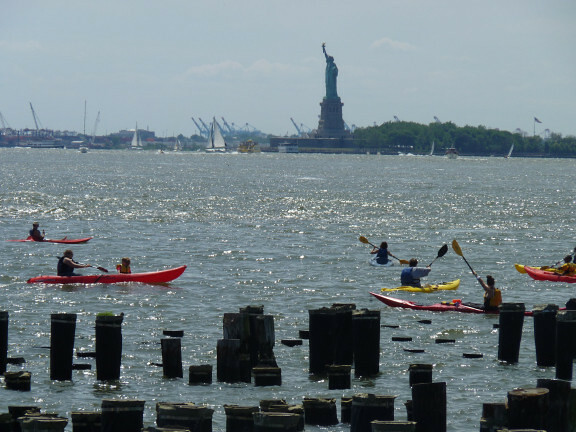 The control of street trash that will become floatables in the local waterways of the Hudson-Raritan Estuary is a significant environmental problem, which exceeds the capacity of NYC’s highly engineered “sewershed” and wastewater treatment system. This two-week summer program will invite the students to take a look at the systems in place to combat this problem. Some systems that will be explored will be green infrastructure (bioswales, green roofs, biomimicry, etc. ), municipal solid waste (recycling, trash, and composting), and urban agriculture (rooftop farming). These and other topics, including functional ones such as design processes and computational modeling, will come to light through workshops and a guest speaker series featuring biotech engineers, green architects, city planners, transportation experts, policy analysts, and media personalities. Brooklyn has rapidly evolved from a geographic place name into an international brand, commonly appended to food stuffs and other artisanal items intended to invoke a sense of hip and cool. 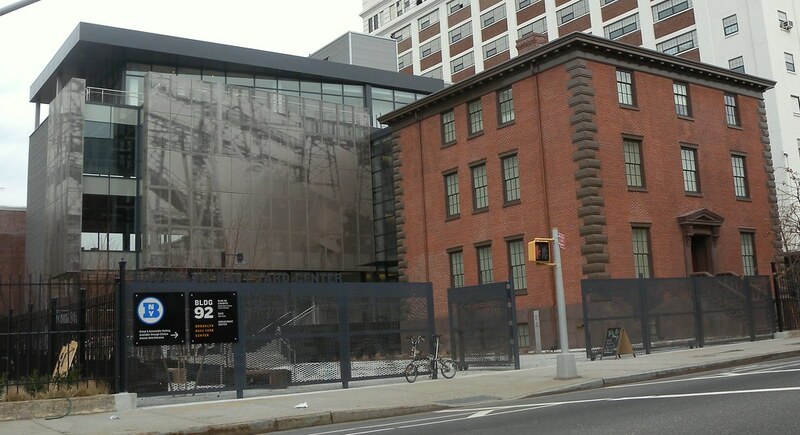 Less noteworthy amid the hype is Brooklyn’s role as an incubator of countless urban sustainability innovations. 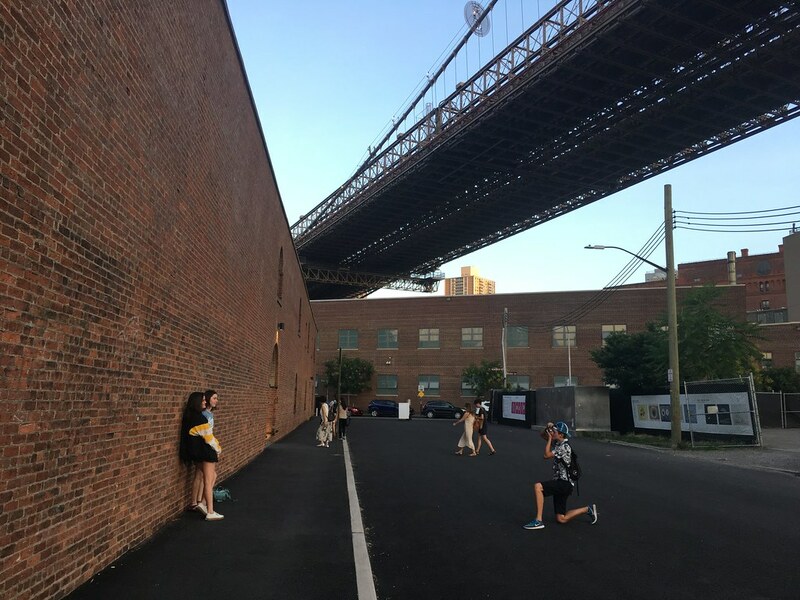 Brooklyn also happens to be our home, and we want to take students beyond the trendy and into an exploration of urban environmental systems with Brooklyn and NYC as our classroom. 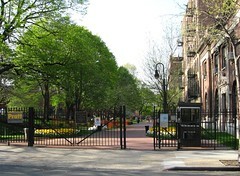 Students are housed in a residence hall at the Pratt Institute, in the beautiful Clinton Hill neighborhood. 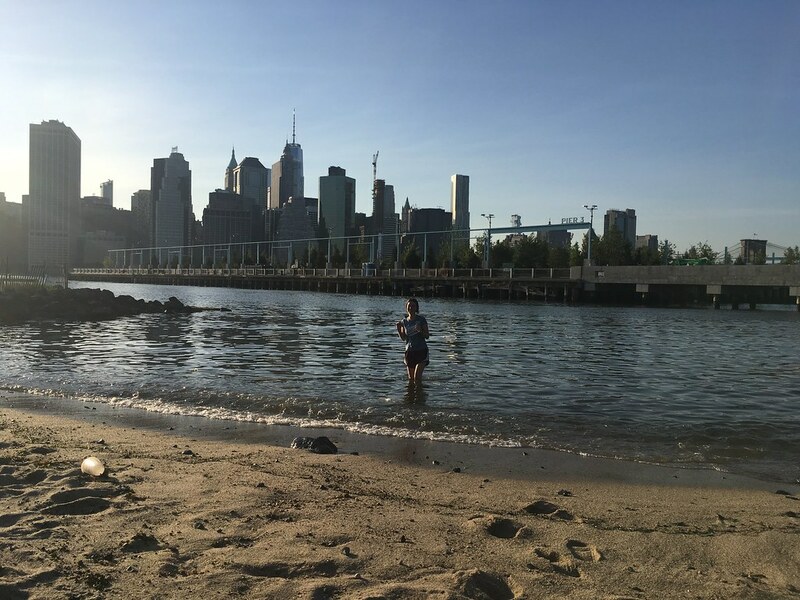 Most morning feature a classroom-based workshop on campus, but afternoons will often find the group out and about exploring sustainability elsewhere in Brooklyn and NYC. Contact us to find out more. Paula has undergraduate degrees in Human Development for Sustainability, emergency medicine, and photography. She has worked as a consultant, researcher, designer, and educator specializing in the implementation of holistic ecological projects. Paula has field experience working with communities in Mexico, Peru, Costa Rica, Argentina, and Chile where she has had the opportunity to collaborate with [...] Read the complete bio. Olivia is a recent graduate of Pacific Lutheran University in Tacoma, WA where she studied Political Science and Global Studies. She loves to travel and spent a year studying abroad in China and Namibia, exploring topics including Chinese language, international relations, and global development. Olivia has always been passionate about the environment and enjoys spending time outside. She has worked at summer camps in Idaho and Colorado, which included leading backpacking trips in the Roosevelt National Forest. Most recently, she worked for the Washington State Legislature where she kept a keen eye out for proposed environmental legislation. She is always interested to learn more about environmental policy and sustainability. Read the complete bio. Jeff brings extensive education management experience to Sustainable Summer. He is a former partner and director of Career Explorations, a summer internship program for high school students, and Vertex Academic Services, an educational consulting company. Jeff subsequently served as Executive Director for Discovery Internships before leaving to found Sustainable Summer. Jeff has a BA from Bucknell University and an MA from Dartmouth College. Read the complete bio. Upon graduating from Cornell College with a degree in Biology Demaceo began pursuing work in the field of conservation. He has worked as an environmental educator and conservation biologist in the US, Honduras, Costa Rica, and the Bahamas. Read the complete bio. Cathy is a Science and Environmental Service Systems (Career and Technical Education) instructor. She is a graduate of Fairfield University, where she obtained a Bachelor of Science degree in Biology. She also has a Master of Science degree in Environmental Science from NJ Institute of Technology/Rutgers University- Newark. At NJIT/Rutgers and a second Master of Science degree in Urban Environmental Systems Management from Pratt Institute. Read the complete bio. Thank you so much for creating this inspiring and informative program. This was my favorite summer yet thanks to Sustainable Summer. Thanks for accepting me into this summer program. It taught me a lot. Thanks for all the encouragement and friendly help. I had a great experience. The program was truly life changing and I loved it. Thank you for all you do to help me change the world! Thanks for an amazing 2 weeks. I’ve learned so many amazing thing. I learned A LOT and loved making new friends. Sustainable Summer has expanded my knowledge about sustainability, sustainable development, energy, climate change impacts, and more. I had a really great time and think the program is doing really good work. While I knew that I wanted to go into an environmental field, this reaffirmed my plans to go into an environmental field. The staff was very well-prepared and approachable. 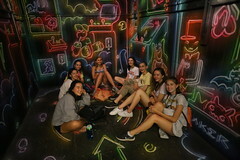 Sustainable Summer was awesome! Getting to meet and make friends with all the other participants was a highlight. The program itself also helped me realize that I’m more interested in the public policy side of environmentalism than the science side. I was surrounded with amazing people that created an incredible and caring environment that we could all have fun and learn in. Sustainable Summer gave me such an empowering feeling to know that other people my age cared as much as I did. It was amazing meeting like-minded and educated people that are all working towards a sustainable future. A world-class city? Check. Unique and interactive experiences? Absolutely. A smart, down-to-earth group of like-minded teens? Yup. Summer in Brooklyn is just the start. 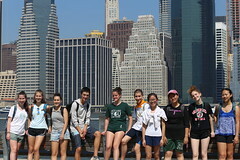 Our programs prepare teens to become environmental leaders through dynamic place-based learning. How do we design urban systems that support life in every form? 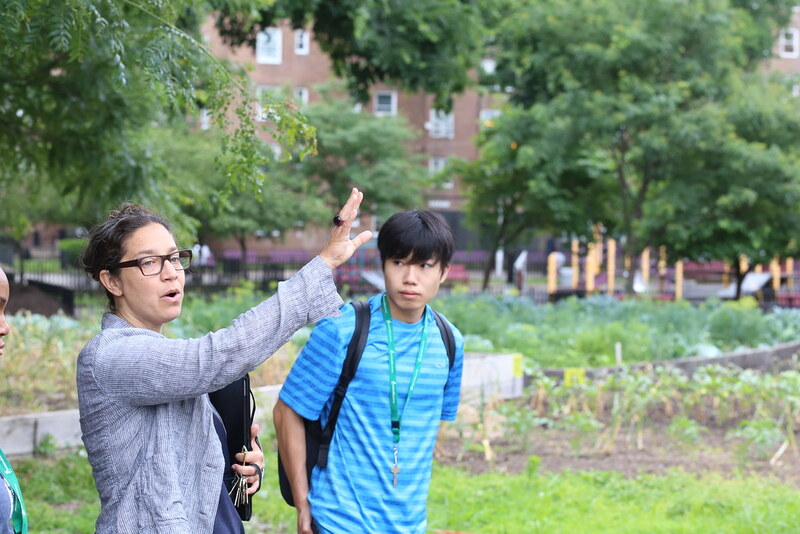 This essential question guides our experience studying sustainability in Brooklyn. Participants – through discussions, workshops, site visits, and fieldwork – will investigate important concepts in the field of sustainability, including corporate social responsibility; conservation finance; environmental economics; decarbonization strategies; and socially-inclusive economic development. A “global citizen” is someone who identifies with being part of an emerging world community and whose actions contribute to building global values and practices. Frugality, integrity, humility, and cultural awareness guide our mission in creating the next generation of environmental leaders and responsible global citizens. Instead of a "leadership" curriculum, we infuse our program with activities that develop global citizenship in our students. Challenge-based learning is a collaborative learning experience in which educators and students work together to learn about compelling issues, propose solutions to real problems, and take action. This unique approach asks students to reflect on their learning and the impact of their actions and publish their solutions to a worldwide audience. This component takes many forms on the program. 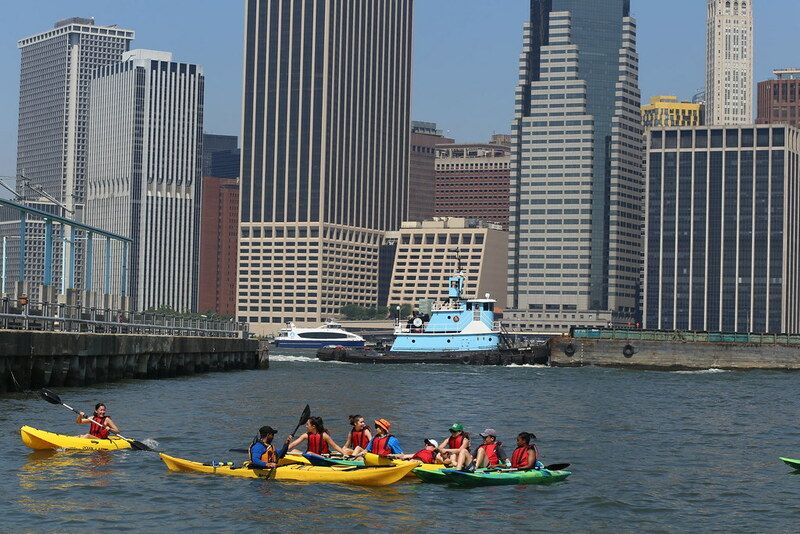 A 3-day sea kayaking course that culminates in a paddling trip to Red Hook and Governors Island, where there are several interesting urban sustainability projects, is one example. Case studies and other collaborative team challenge also occur in more "traditional" learning environments. One important program module is a design thinking workshop culminating in a design challenge on the topic of stormwater management intended to foster not only a specific and actionable solution to a problem, but also the development of lifelong innovation skills that help create economic, social, or cultural value. Each program has a tiered tuition rate: standard (full tuition), tuition assistance (83% of tuition), or scholarship (as low as 15% of tuition). Our standard course fee, which represents the actual cost of operating our programs, including the administrative costs that are necessary to sustain our organization in the long-term. This is the suggested rate for families living in high cost of living areas with household net assets of greater than $650,000 and/or annual household income of greater than $180,000. Participants at this tuition rate cover only their direct participation costs, including lodging, meals, activities, in-country staff and transportation, and support for local projects. Participation at this level is based on the honor system. It is available to all families - no documentation required. We simply ask families to honestly consider their financial resources and ability to pay the full tuition rate. Additional scholarship funding is available for students that are unable to participate at either of the other rates. Scholarship participants receive up to an 85% reduction of the standard course fee. Due to the limited availability of scholarship funds, a separate application is required, including a parent financial statement and recent tax return. in double rooms in the Cannoneer Court residence hall at the Pratt Institute in the Clinton Hill neighborhood, just steps from dozens of cafes, restaurants, shops, parks, and much more. Students will be provided with three meals daily (excepting arrival and departure days). Breakfast is typically on campus; lunch is typically off-campus; dinner is either a buffet in the campus dining hall or at a local restaurant. Dietary preferences or restrictions are easily accommodated. 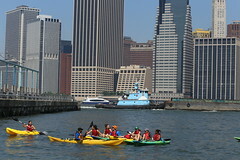 Activities, from the adventurous to the cultural, are a regular part of the program. 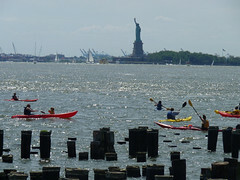 For instance, we'll do a 2-day sea kayaking progression in the East River and also hit some of Brooklyn's classic summer cultural events, like the Smorgasborg food market and the Celebrate Brooklyn concert series in Prospect Park. Place-based. Interactive. Fun. 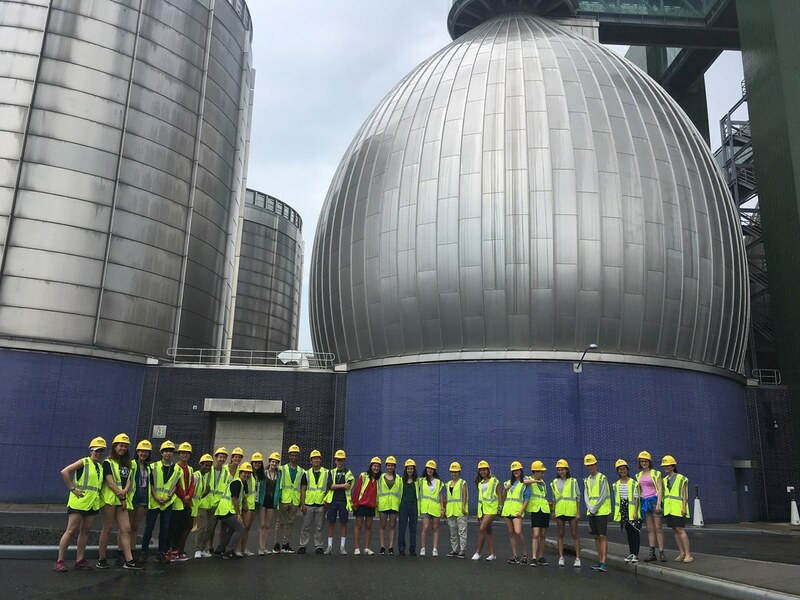 We'll be visiting rooftop organic farms, learning about NYC's water supply and waste management systems from local experts, and discovering other fascinating concepts using interactive approaches to learning. 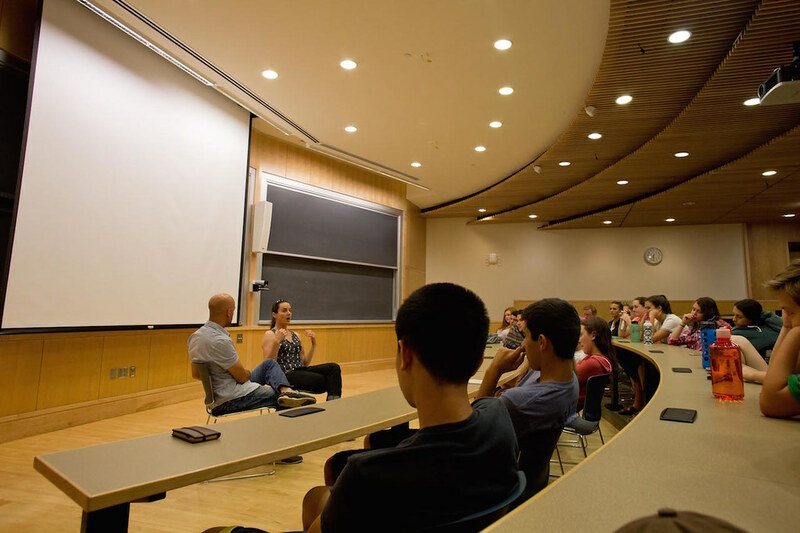 A guest speaker series brings leading sustainability experts from NYC into the program. Our fantastic staff lives in the residence hall with the group. Students and parents receive comprehensive and prompt pre-program support. Tuition does not include transportation to/from campus, or personal expenses such as laundry, snacks, souvenirs, and other incidentals. Start the day with a healthy and delicious breakfast in the Dining Hall or Student Center. So many possibilities! 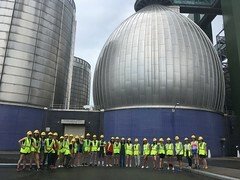 Depending on the day, we could be learning about 'green' infrastructure at the Gowanus Canal Conservancy; learning about 'gray' infrastructure at the Newtown Creek Wastewater Treatment Facility or SIMS Recycling Facility; volunteering at an organic farm; or studying resiliency initiatives in Red Hook. These are just a few examples of how we take the learning experience out into the city every day. Recharge your batteries with lunch and some time to relax before our afternoon session. We typically split up into small(ish) groups for lunch at one of the many local restaurants in whichever neighborhood we're exploring that day. For the duration of the program, students will be learning about design thinking methodology and then work in teams to apply that methodology to a real world stormwater runoff management problem. We often structure these sessions as a 30 to 60-minute seminar followed by field work applying the instructed concept. Depending on the day, we could have a guest speaker or a workshop on design thinking, sustainability, or another relevant subject. Depending on the day, we might have a buffet dinner as a group in the Pratt dining hall or split up and go to a local restaurant in the neighborhood. Depending on the day, we might be going to an evening activity, like a broadway show or concert in Prospect Park; or we could have dedicated time for students to work in groups on their design challenge; or maybe have a low-key night just hanging out with friends until curfew at the residence hall. 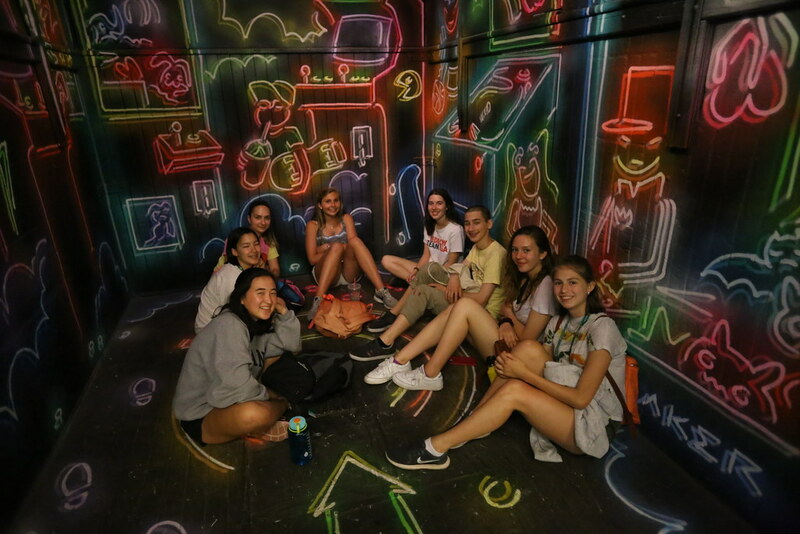 Depending on the day, we might be going to a broadway show, a concert in Prospect Park, or maybe just hanging out with friends until curfew at the residence hall. Hang out with friends until curfew. This is a broad outline of the program broken out by morning, afternoon, and evening events. Each day there is also typically a few hours in the afternoon or evening for unstructured social time. Sustainable Summer reserves the right to change, alter, or amend the program itinerary. Changes can be made for various reasons including changes in weather; to take advantage of a new activity or unscheduled opportunity (such as a festival or event); to accommodate the health needs of an individual participant; or due to changes in activities or schedules of our partners and providers. The itinerary shown here attempts to capture a general feel for the day-to-day activities for this program, but is not intended to reflect the actual program itinerary. Pete Dominick is the host of Stand Up! with Pete Dominick on SiriusXM 104, which regularly features conversations with some of the biggest names in politics, journalism, public policy and entertainment. The Huffington Post called Stand Up! "Truly the best political talk show on the air today." Who are the instructors and staff? Our 2019 program will again be run by Jeff Sharpe and Cathy Yuhas. Jeff is the Founder and Executive Director of Sustainable Learning, the 501(c)(3) not-for-profit that runs Sustainable Summer programs. Cathy is an environmental educator and a graduate of Pratt's Environmental Systems Management program. Supporting Jeff and Cathy are a team of experienced educators. All of our staff live in the dormitory with students and provide support, mentorship, and supervision. There are also several guest instructors and speakers that are active in sustainability initiatives locally that work with our group. We cap enrollment for this program at 32 students. Are there any program pre-requisites? Will I be accepted? It's not necessary to have any previous coursework beyond a freshman year earth science or biology course and a strong interest in the subject matter. 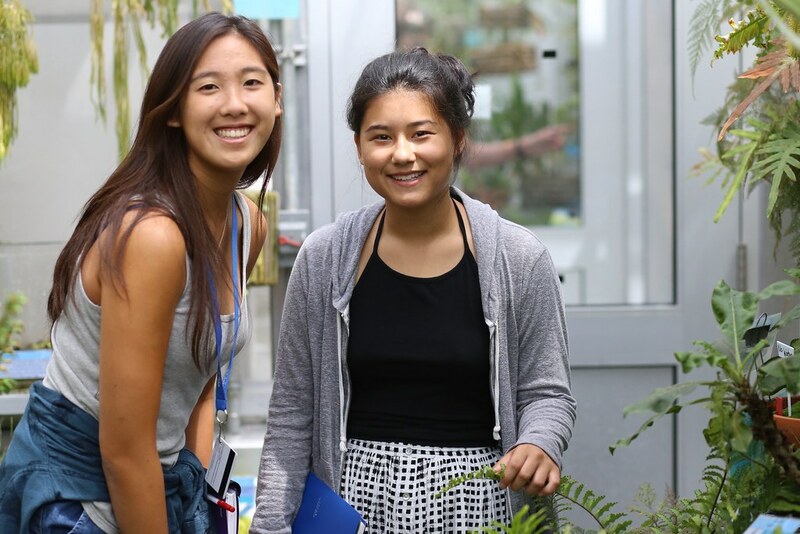 Nearly all of our participants are already active in sustainability or environmental clubs within their school or community, but if you're just starting to develop an interest in the subject, there is probably a place for you on the program. All prospective students will need to apply and be accepted into the program, which requires completing our online application. We have received feedback from some past students and parents asking us to state more clearly that program admissions are competitive, and while we're not interested in putting admission statistics on our website, we'll take this opportunity to state in no uncertain terms that we deny admission to a large percentage of our applicant pool. Please visit our online application for additional information regarding our expectations. Is this program run by the Pratt Institute? No. We partner with the Pratt Institute to provide housing and meals. We also work with members of the Pratt faculty on programming, but the program is run by Sustainable Summer, not by Pratt. I live in (insert place far, far away). How do I get to the program? Students arriving by plane are encouraged to plan their travel to JFK International Airport, where they will be greeted by our staff and escorted to campus using the AirTrain and LIRR at a cost of $15.25 each way. We can also support arrivals by train to Penn Station or Atlantic Terminal for no additional fee. If you need to arrive at Newark or LaGuardia airport, or some other arrival point, please contact us for details and fees. We have very detailed information about travel to/from the program (whether by plane, car, etc) that we provide to families upon enrollment, but feel free to contact us with travel logistics questions prior to enrollment. No. 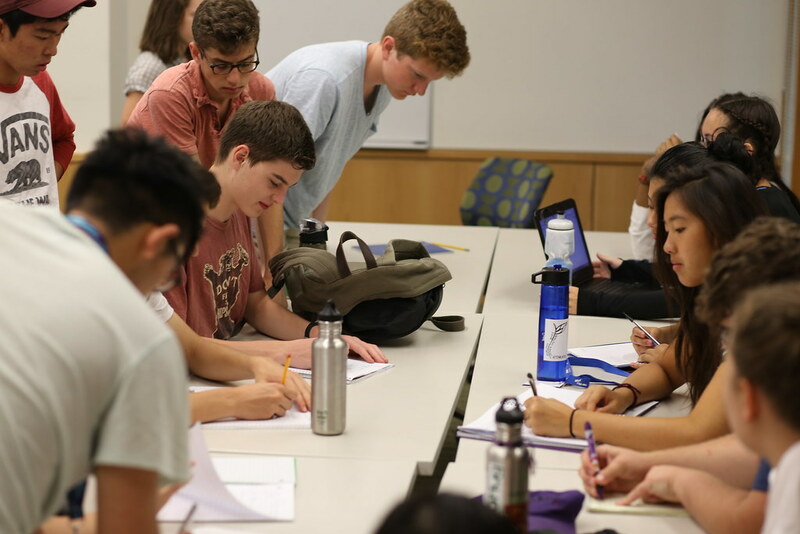 Our position on college credit for pre-college enrichment programs is that, in most cases, it drives up the cost of participation without adding much value to the experience. It's unlikely that admissions officers will weight the fact that a course was taken "for credit" any greater than one that is not in admissions decisions. Furthermore, competitive universities do not typically allow pre-college credits to transfer. Typically to be eligible for credit transfer, a course must be offered by accredited four year degree granting institutions as part of an undergraduate degree program, be at least three weeks long and meet for a minimum of 30 contact hours, and/or course enrollment must be by a majority of current college students. The vast majority of pre-college courses, even those offered by colleges themselves, don't meet these requirements. This is probably why large pre-college programs run by universities like Columbia don't confer credit. They know it's not going to transfer. Will this improve my chances of getting me into my dream school? Maybe, but that depends significantly on a number of factors. See this article on college admissions for more info. 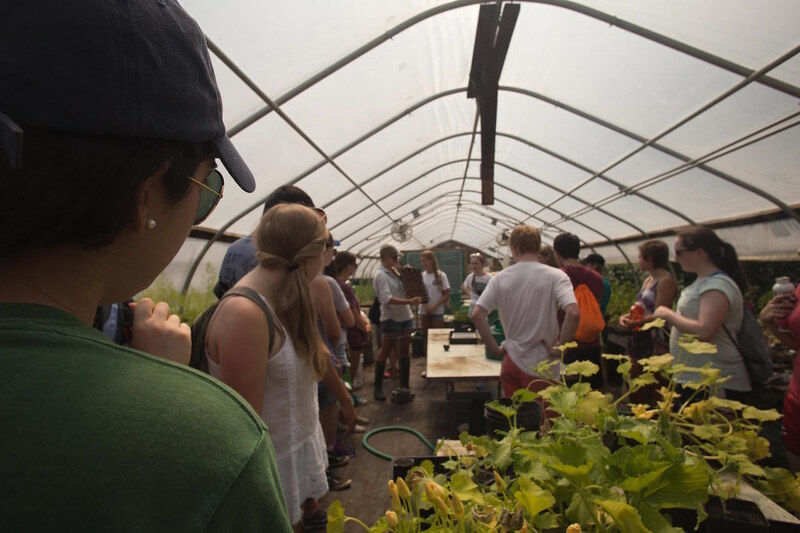 Can this program be combined with other Sustainable Summer programs? Yes. 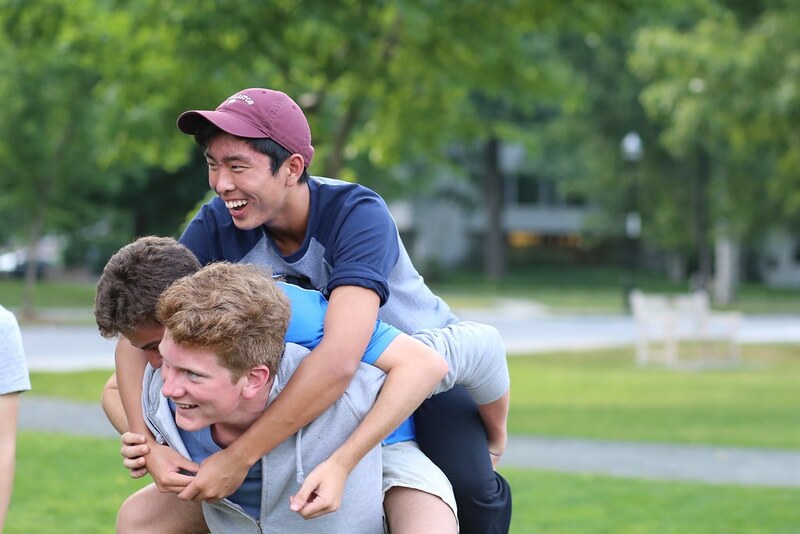 This program is designed to connect with a few different global learning programs or our environmental leadership academy at Dartmouth College. Where do we eat? Can dietary preferences be accommodated? Students will be provided with a full meal plan. Breakfast and lunch are a la carte off a declining balance program. Dinner is family-style. Weekends feature brunch and dinner only. Dietary preferences or restrictions are no problem. 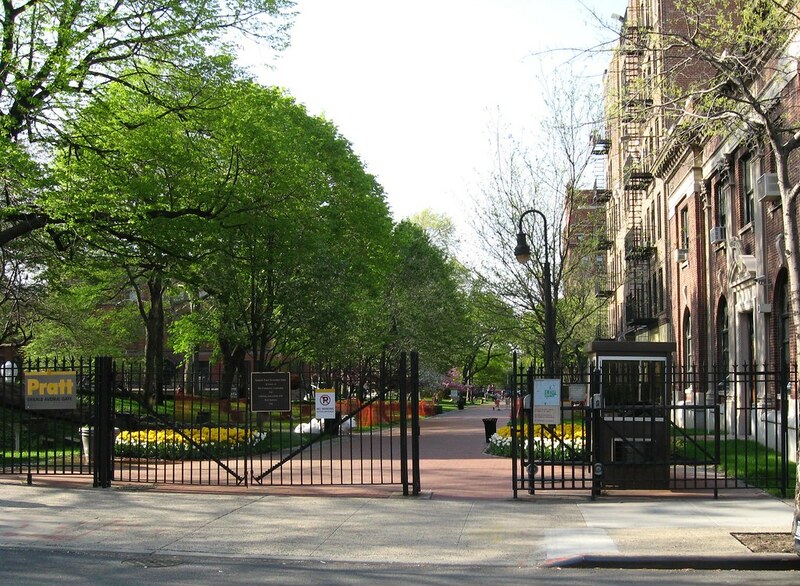 Students will live in either single, double, or triple rooms in a Pratt Institute residence hall in Clinton Hill, Brooklyn. This is a beautiful "brownstone" neighborhood. Most New Yorkers consider Clinton Hill to be "post-gentrification" and "affluent" and "safe." These are obviously subjective terms, but we want to provide some helpful information to prospective parents and students that may not be familiar with Brooklyn. Call us with any questions or concerns.